Orders of Protection are NOT TO BE TAKEN LIGHTLY!! 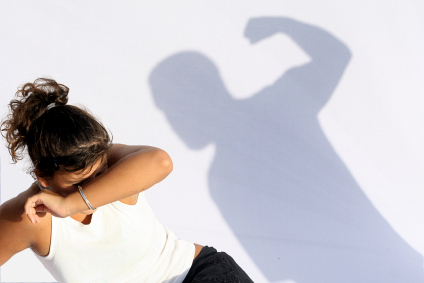 The Tennessee Domestic Abuse Statute provides for the issuance of Orders of Protection to provide domestic abuse victims with enhanced protection from domestic abuse and to ensure prompt law enforcement response for violation of an Order of Protection. “[A]ny domestic abuse victim, stalking victim or sexual assault victim who has been subjected to, threatened with, or placed in fear of, domestic abuse, stalking, or sexual assault” may file for an Order of Protection. After the petition is filed, the Court may immediately grant an ex parte Order of Protection and set the matter for a hearing within fifteen (15) days, alternatively, the Court may deny the ex parte Order of protection and set the matter for a hearing within a reasonable time. At the hearing, the alleged victim has the burden of proving the allegations contained in the Petition for Orders of Protection. Orders of Protection abridges the Second Amendment right to bear arms; people with an Order of Protection against them are NOT permitted to own or possess a firearm or ammunition! Additionally, Orders of Protection can affect your livelihood (i.e., police officers, security guards, members of the armed forces). Some rental communities will not rent to people who have an Order of Protection against them. Police, family or friends with prior experience with Orders of Protection may be the driving force causing an Order of Protection to be taken out. Orders of Protection are fact dependent, meaning that the facts written into the Petition are relied upon by the magistrate in determining whether to grant or deny the Order. Often, the facts contained in the Petition fail to meet the legal standard for the issuance of the Order of Protection. While the legal standard for issuance of an Order of Protection is more likely than not that the allegations are true, Orders of Protection are issued by magistrates based on exaggerated facts or lies. Police advise all alleged victims of domestic violence to file for an Order of Protection and give detailed information on where to go and what to say. Domestic violence advocates and other organizations are extremely skilled in writing the facts so that the judge will issue the Order of Protection. We have handled thousands of Orders of Protection successfully for our clients. 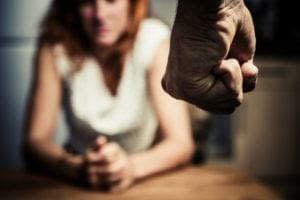 Domestic violence and Orders of Protection are serious matters. Let us help you navigate the difficult landscape and achieve the results you deserve during these difficult times. 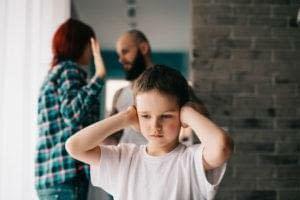 We have a wide range of experience helping people deal with the legal aspect of violence at home.Hire an attorney experienced in domestic violence cases who has successfully defended Orders of Protection! It is important to have a lawyer who thoroughly investigates the facts in the Petition, and who interviews and subpoenas witnesses and exhibits to your hearing. When the only witnesses are the alleged victim and yourself, the decision to issue the Order of Protection often comes down to credibility. A person fills out a Petition for Orders of Protection, writing in the Petition the facts that support the issuance of the Order of Protection, i.e., what happened that makes the person in need of immediate protection by the Court. The person must swear, under oath, under penalty of perjury, that the events contained in the Petition are true and correct. The magistrate reviews Petition for the Order of Protection, and will likely issue an ex parte Order of Protection. The ex parte Order of Protection is a temporary Order of Protection that prohibits the other person from contacting the petitioner for any reason whatsoever. A hearing on the ex parte Order of Protection will be set within 15 days of the issuance of the ex parte Order of protection. At the Order of Protection hearing, the Court will hear from the Petitioner, the Respondent, and any witnesses brought by the parties. The petitioner must prove that the facts written in the Petition more likely than not occurred. The respondent then can put on proof to show that the petitioner is lying, exaggerating, or otherwise wrong in the statement. Based on the testimony of the parties and witnesses, and any exhibits presented, the judge will either grant or dismiss the Order of Protection. One of the benefits/drawbacks of an Order of Protection is that it results in an immediate arrest by the police; all it takes is a simple call to the police and the person under the Order of Protection will be arrested. 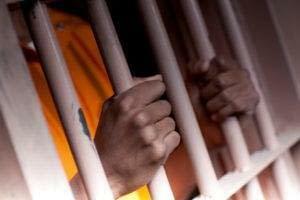 Violation of an Order of Protection is a Class A Misdemeanor, carrying up to 11 months 29 days in jail and a fine up to $2,500. A person can violate the ex parte Order of Protection, prior to the hearing on the Order of Protection, and likewise be arrested and go to jail. At Turner Law Offices, P.C., we are experienced with helping our client obtain Orders of Protection and helping our clients who have been served with an Order of Protection. Orders of Protection are serious business, and if you are in a situation where an Order of Protection has been taken out, please call our family law attorneys to help you with your legal situation. Call today for a free initial consultation!